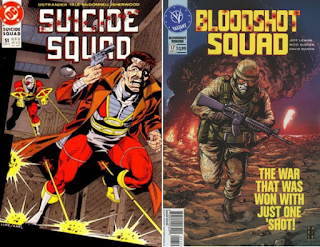 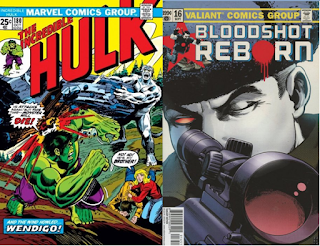 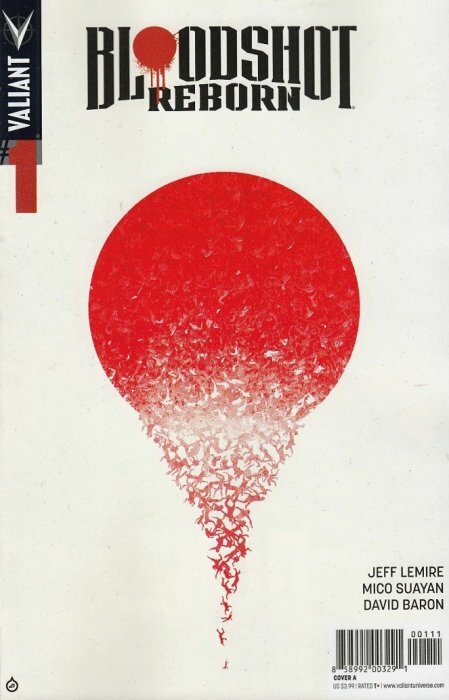 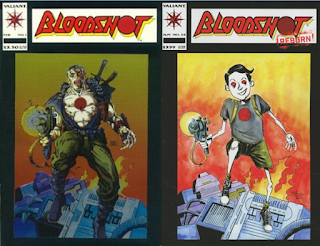 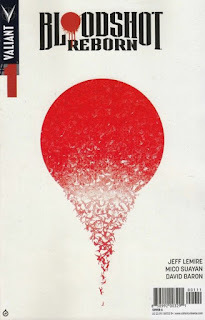 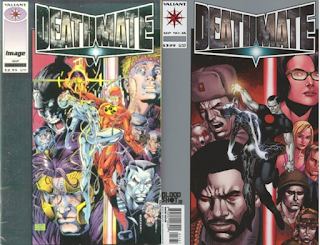 Valiant Entertainment has been using their Harvey-nominated title, Bloodshot Reborn, as a staging ground for some exciting throwback covers. 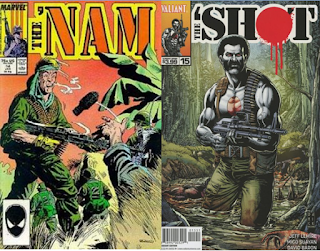 For issue #15, they parodied the look of the late '80's Marvel comics, and specifically the title "The 'Nam." 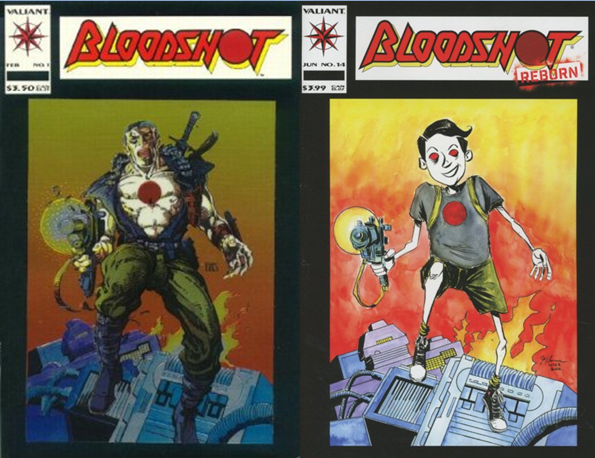 This was surely inspired by the Vietnam-era version of the nanite-infested killing machine. 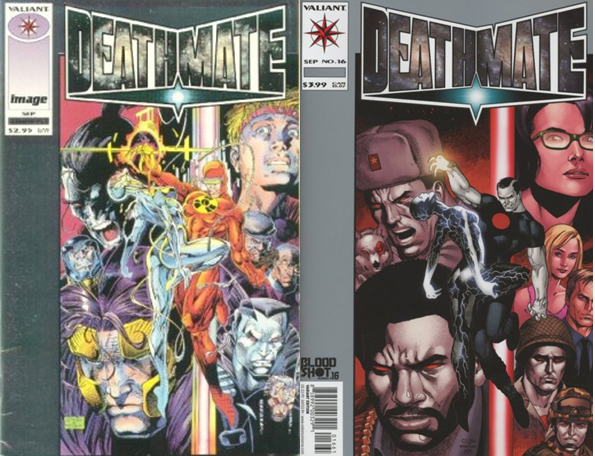 Also, this cover is done by Darick Robertson, co-creator of Spider Jerusalem and Transmetropolitan, one of my favorite comic creations ever. 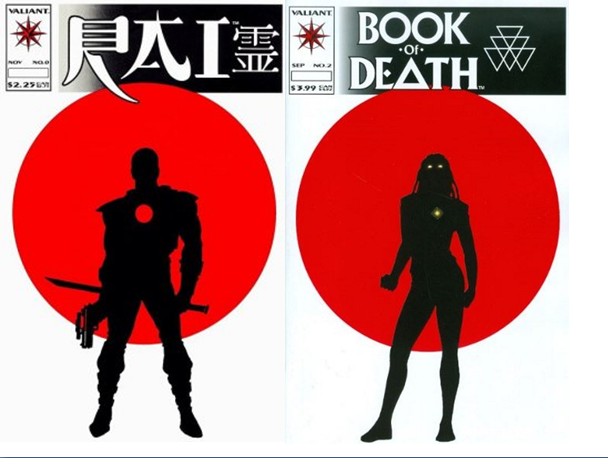 The idea of using an older property as a design influence is nothing new for Valiant Entertainment, as we see here from their Summer 2015 event, the Book of Death, where each of the four issues from the miniseries had a classic Rai #0 variant, and the one I chose here is the Livewire copy, #2.